Personalized Necklaces Nameplate Carrie in Gold With unique Vivace BT Font, this personalized name pendant for Women in Sterling Silver is one of our smallest letter necklaces yet! 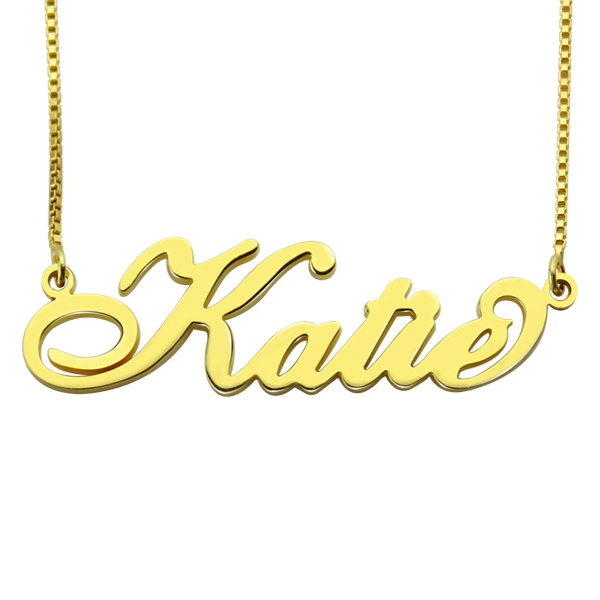 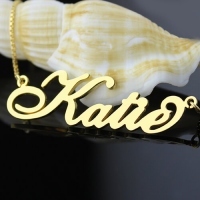 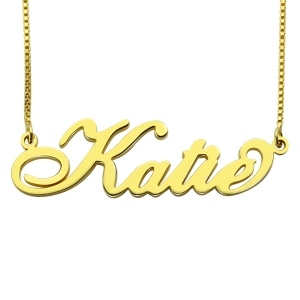 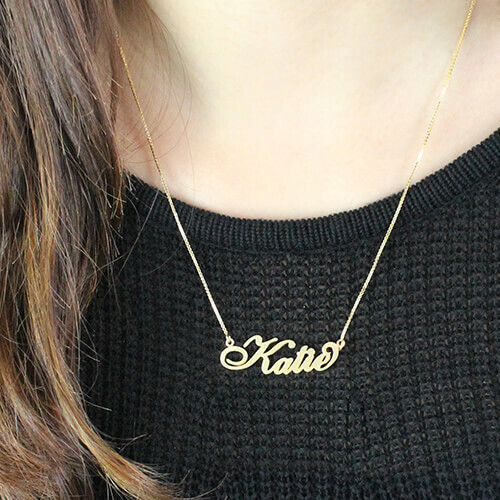 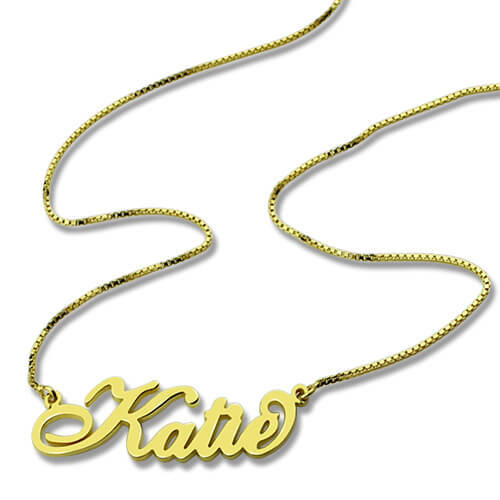 This carrie style name necklace comes with a unique font that can be customized with the name or word of your choice. This letter necklace is made from 925 Sterling Silver and hangs on a Silver Box Chain.